A new winner stole the headlines at Albert Park, but on the Apple Isle, it was an old favourite who took a popular victory. 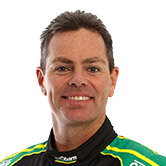 Craig Lowndes snapped pole and winless streaks of nearly three and two years respectively in a commanding performance on Sunday. 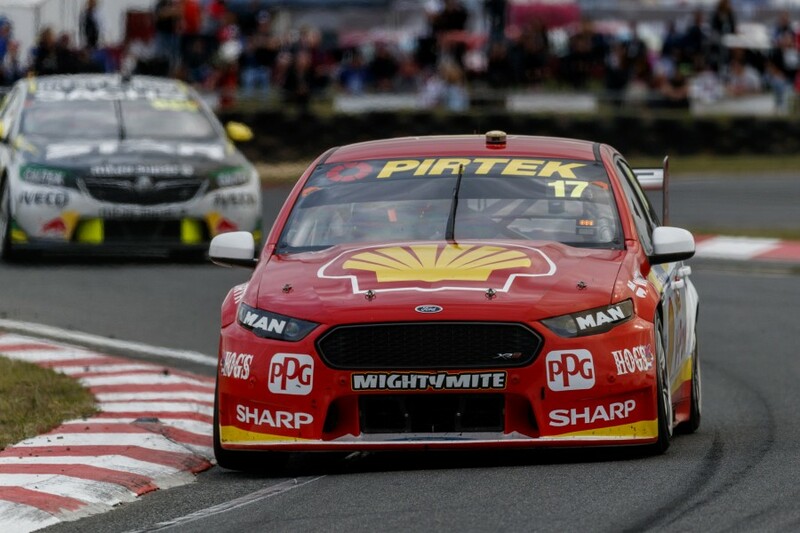 The veteran’s return to form, a rookie’s standout performance and a simmering rivalry are all on the menu in Supercars.com’s debrief of the Tyrepower Tasmania SuperSprint. Lowndes back – but was it the track? 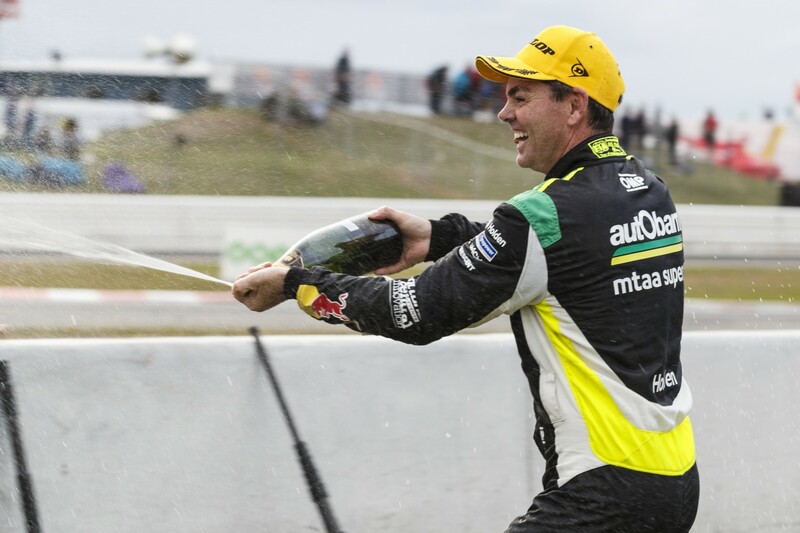 Craig Lowndes was a popular – and highly deserving – winner at Symmons Plains. The veteran repeatedly stressed his liking for the 2018 tyre and ZB aero package early in the campaign, but had failed to put a big result on the board in Adelaide and at Albert Park. At Symmons Plains, he was fast from practice all the way through to Sunday, where his drought-breaking win occurred without any freak circumstances. He was simply too good. How Lowndes’ season goes from here, however, is the big question. Even in his leaner years, Lowndes has almost always gone well at Symmons Plains – where Triple Eight has well and truly dominated. Notably, Lowndes said this week that in some ways Sunday felt like a “first win”, having been almost 18 months in the making with engineer John McGregor. With the monkey now off the back, optimism abounds that the 43-year-old has more wins in him yet. For a driver who scored eight wins and 16 ARMOR ALL Pole Positions last year, a pair of second-row starts and results of ninth and second were hardly career highlights. But the reality was, if you didn’t have a ZB Commodore at Symmons Plains – particularly a Triple Eight-built example – it was tough going. 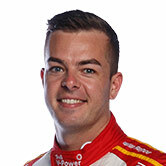 Scott McLaughlin was the top non-Triple Eight driver in both qualifying sessions and, notably, the only non-ZB driver to even make Q3 on Saturday. A shift-cut issue slowed his run in the Saturday race, leaving him ninth and with a blistered left hand from battling the gearstick. He shook that off to almost steal the win on Sunday, Lowndes popping out from the critical last stop only marginally ahead. A second place was a classic case of McLaughlin making the most of his opportunities, which, even more so than poles and race victories, is what winning a title is all about. While Shell V-Power Racing took it to the Holdens, there was little joy for the remaining Ford and Nissan runners. 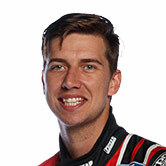 Tickford was at sea all weekend; Chaz Mostert convinced by Sunday that something was broken in his car, such was his struggle. 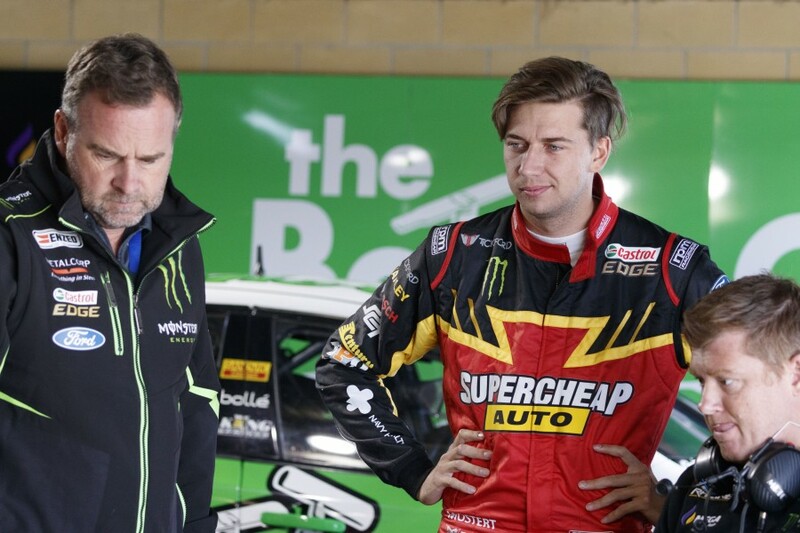 Mostert dragging a 10th from the Sunday race was as good as it got for Tickford as Mark Winterbottom and Cam Waters floundered, while Richie Stanaway’s horror run continued. 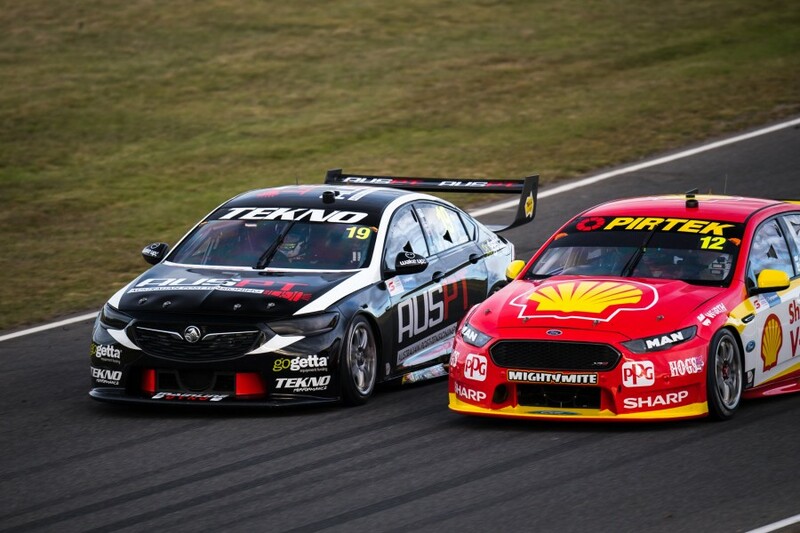 Although the flood of fast Commodores this year has clearly hit Tickford hard, as long as McLaughlin is fighting for wins, excuses are limited. Nissan, meanwhile, had an even worse weekend, albeit on a track that has never been kind to the Altimas. An 11th in practice for Simona De Silvestro was the high point, with the cars fundamentally not fast enough, and the team not appearing to maximise what it had. 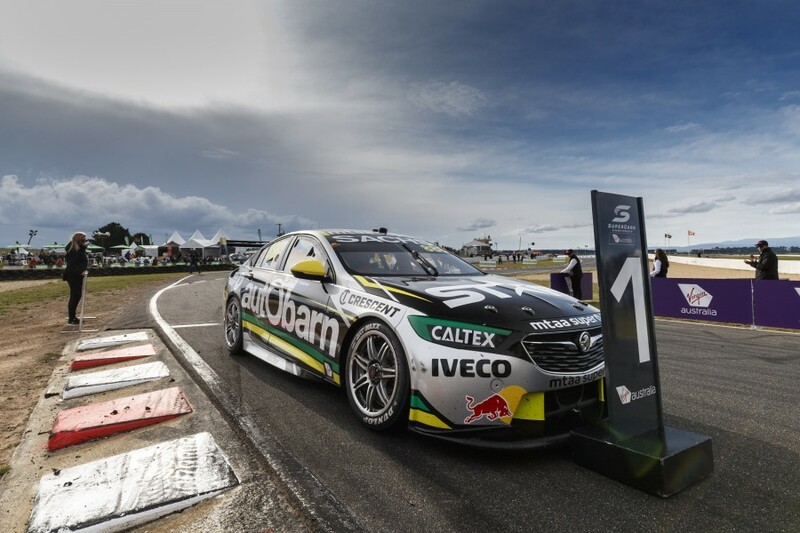 Yes, a Triple Eight car was the toy to have at Symmons Plains, their combination of braking stability, power-down and horsepower a perfect match for the circuit. But for rookie Jack Le Brocq to shake off a difficult start to the season and score a 10th on Saturday, before starting and finishing fifth on Sunday, was a big achievement. His efforts leading into the weekend to switch from left- to right-foot braking have been well publicised and, according to the team, was a key part of his step forward. Left-foot braking has always been a relative rarity in Supercars and – with three former champs at Triple Eight o share data with – adopting their approach made sense. Interestingly, the most successful left-foot braker in the current field, Fabian Coulthard, revealed on Twitter over the weekend that he is physically unable to right-foot brake. With a go-karting accident having crushed his right-ankle, limiting movement, Coulthard is well and truly locked in as a left-footer. Another chapter in the rivalry that has built between David Reynolds and Shane van Gisbergen was added in Saturday practice. 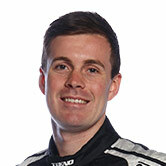 Aborting his lap, van Gisbergen suddenly slowed in the middle of Turn 3, forcing Reynolds to take evasive action. 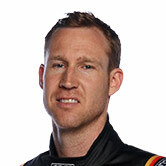 Van Gisbergen shrugged it off as a case of “it’s practice, who cares” but, much to his chagrin, was later fined $1,000. Commentator Russell Ingall threw fuel on the fire by claiming Reynolds should have “fired him straight off” as a way of asserting his authority. 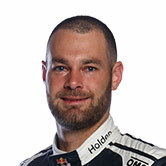 Although Reynolds had been left kicking himself for not racing van Gisbergen hard enough in Adelaide, he dismissed the need to “toughen up” after the latest incident. With both drivers shaping up as genuine title contenders, how this battle unfolds both on and off the track will be fascinating to watch.